If you are considering buying a coffee shop in South Africa, it is extremely important to understand the ins, outs, pros and cons of the coffee shop industry to decide if it really is for you. Coffee in South Africa is currently enjoying a boom and it is certainly a good time to enter the industry. Recently, South Africa has even been recognised as the home of some of the best coffee shops in the world! And income in this sector has increased by 7% since 2014. Today, however, specialty coffees are becoming more popular than ever and the rise in consumption looks set to continue. When it seems as if there is a bustling coffee shop on almost every street corner it can be tempting to assume that running a coffee shop is pretty straightforward. Managing employees and motivating staff. If your employees aren't engaged and motivated to give consistently great service, your sales and repeat custom will drop. So, foster a strong sense of team spirit and consider motivational incentives such as an employee of the month award, opportunities for additional training and bonuses for good performance. Increasing the average spend to maximise profitability. Customers need to spend more than on a simple coffee - and this is a common issue for coffee shop owners. Find something that makes you stand out from the crowd, such as delicious home-made gluten-free cakes or cookies or even something off the wall, such as vintage records. Treat it like an actual business. 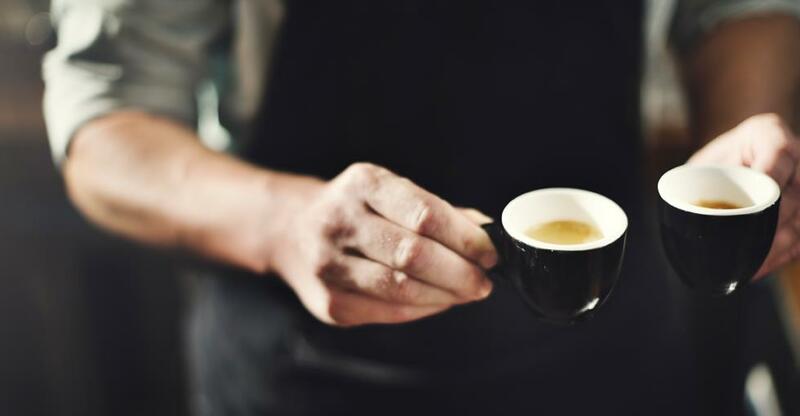 If you love coffee and chatting to people, running a coffee shop can seem like a dream job. However, things will quickly stop being fun if you fail to make any money. Remember that as the proprietor, the fun has to stop at some point, if for instance, your staff become irresponsible or your customers get rowdy. If all customers wanted was a high-quality coffee, this can be done just as well at home. Coffee shops are about the experience - provide a welcoming environment with friendly staff and a distinctive atmosphere. Keeping up with the latest trends is vital and the coffee shop sector is known for its dynamism and vibrancy. New trends for 2018 include ethical coffee, premium cold brew and even coffee served in chocolate leak-proof cones. Coffee shops have historically been trend-setters - many past innovations of coffee shops are now commonplace across the world – which have only evolved in popularity in the last 5 to 7 years. Growing a coffee shop: What are your options? Consider expanding your menu, if you don't offer more than snacks, consider partnering with a local baker and outsourcing your menu. Plan weekly or monthly events to bring in new customers. You could invite live bands to perform, host seasonally themed events or invite local artists to display their work around your coffee shop. Heavily promoted fundraisers are also a great way of raising your profile in the community. If permits allow it, consider changing your opening hours to later in the evening. As soon as you have decided on your expansion plans remember to clearly market your new plans - use social media, newsletters, flyers, and posters.